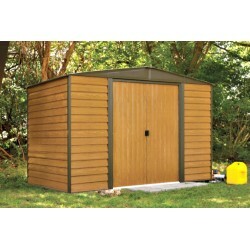 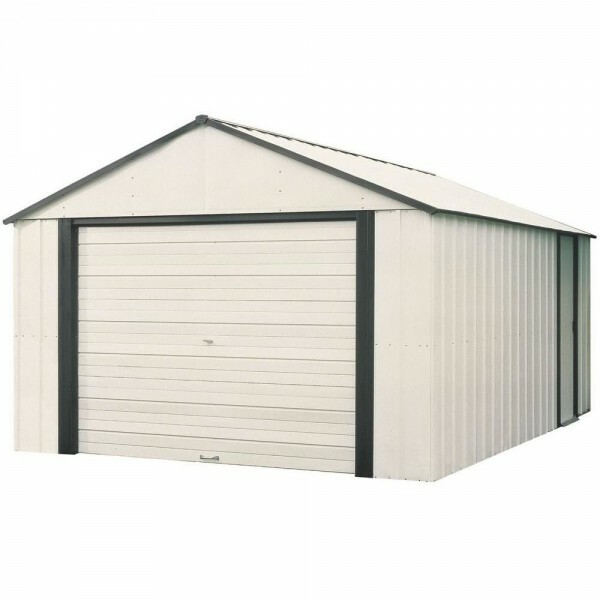 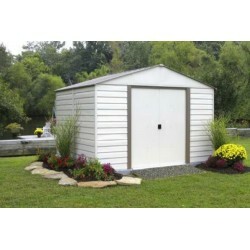 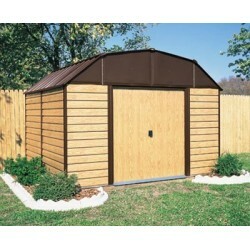 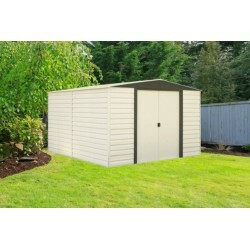 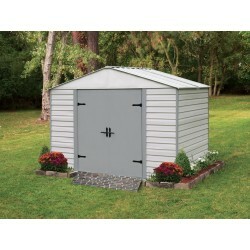 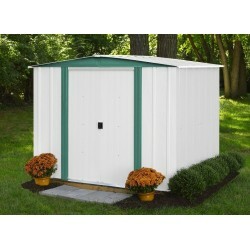 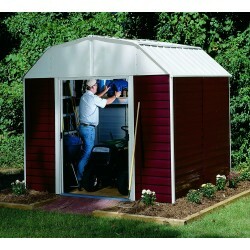 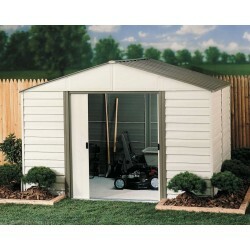 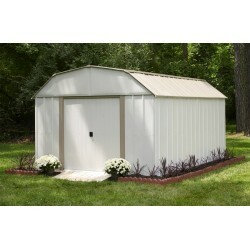 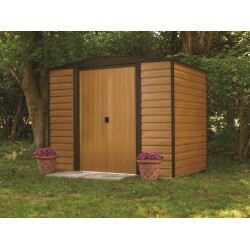 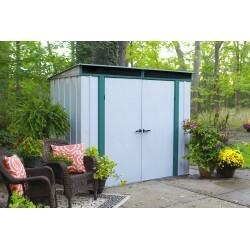 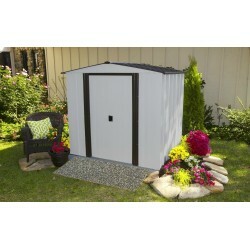 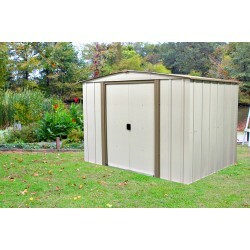 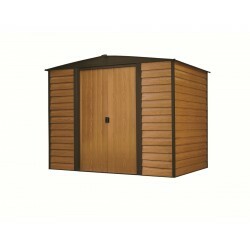 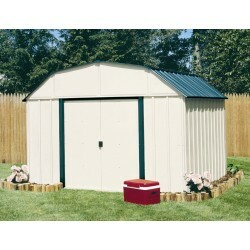 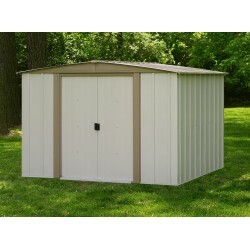 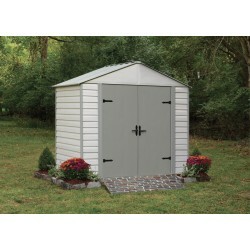 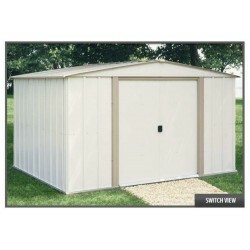 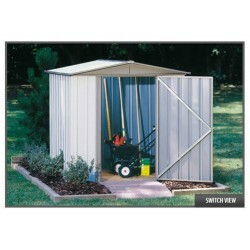 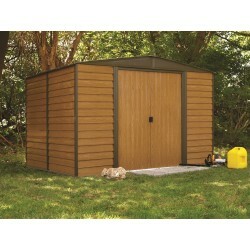 For really big storage needs the 12'x10' Vinyl Murryhill from Arrow is your building of choice. 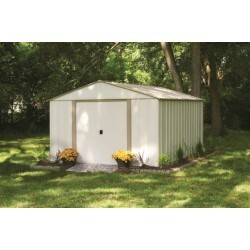 You'll get 801 cubic ft. of space. 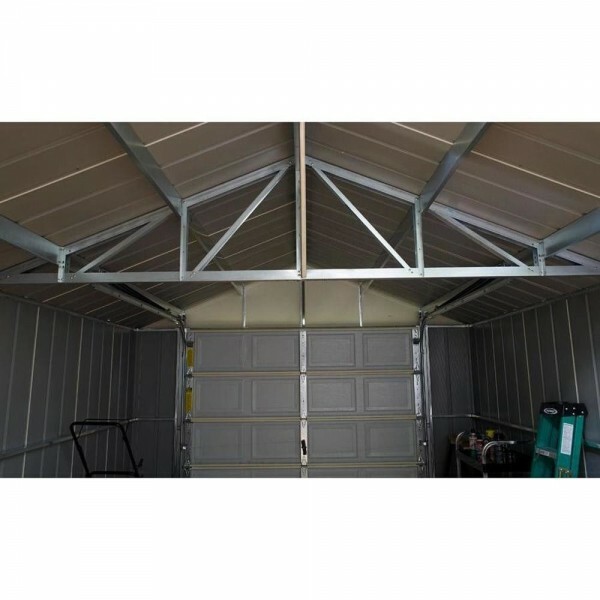 The vinyl coated steel finish is five times thicker than standard steel finishes. 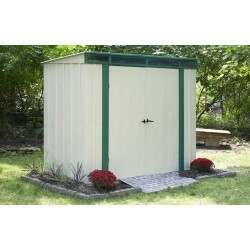 For really big storage needs the 12'x10' Vinyl Murryhill from Arrow is your building of choice. 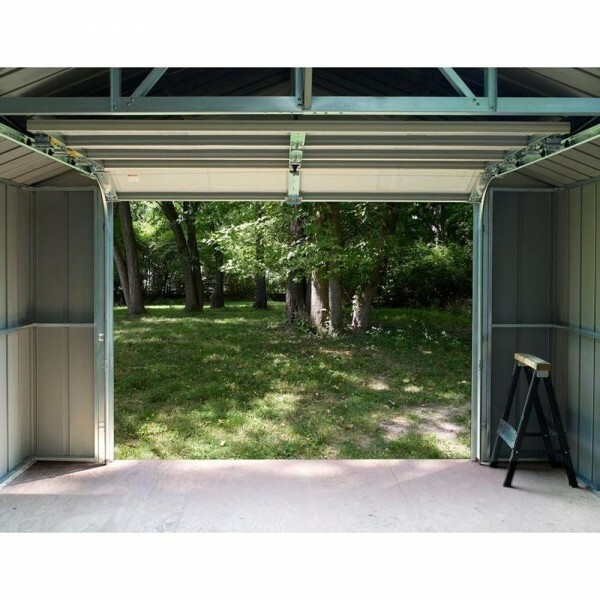 You'll get 801 cubic ft. of space. 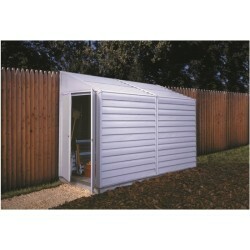 The vinyl coated steel finish is five times thicker than standard steel finishes. 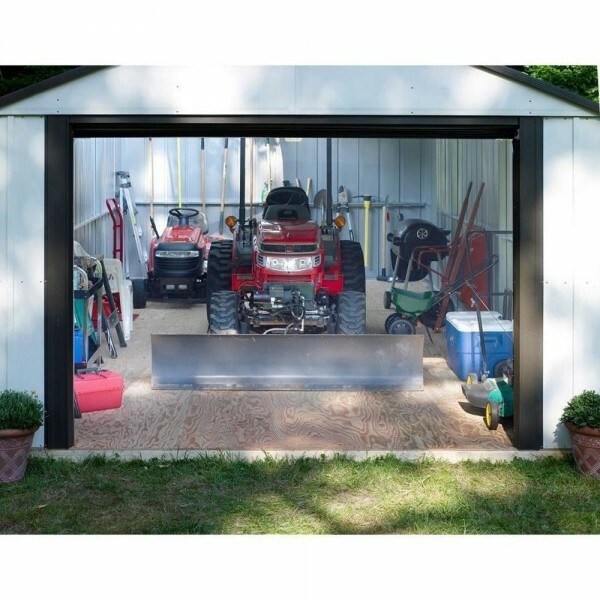 A roll up garage door opens to 95" W x 72" H for easy storage of extra large items such as tractors, snow mobiles and motorcycles. 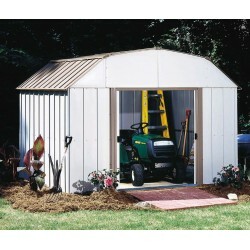 A high gable roof provides a center peak height of over 7 ft. for extra head room and more work space. 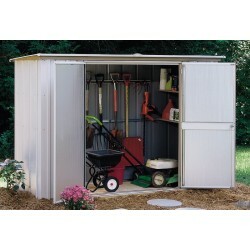 There's ample room here for organizing patio furniture, wheel barrows, dry vacs and almost any lawn and garden tool that you need to store. 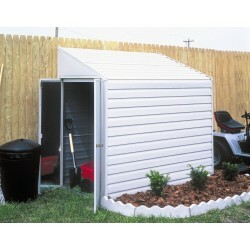 A side door give you the option for random placement and make greater access to storage. 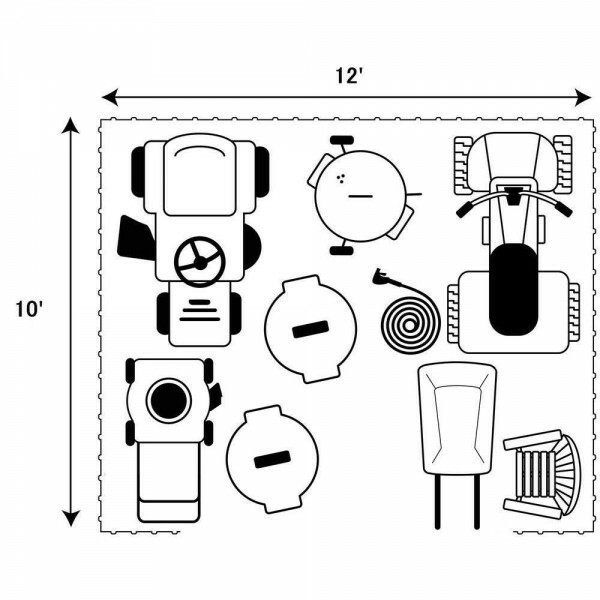 All parts are pre-cut and pre drilled for faster assembly. 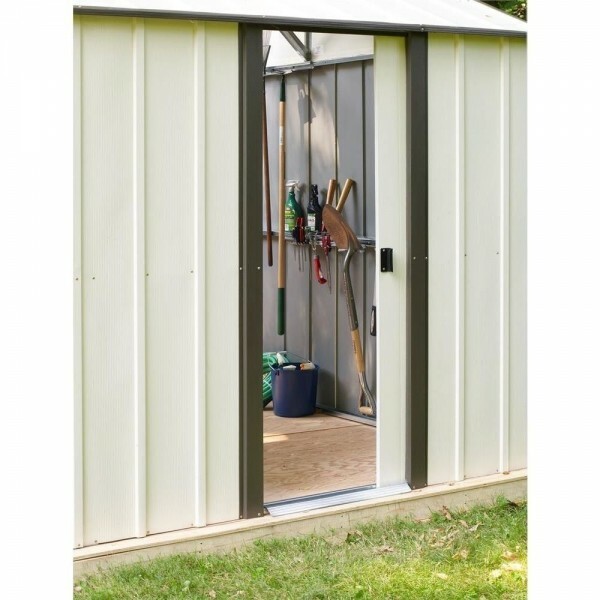 The durable vinyl coated steel will provide years of organized storage for whatever tools & equipment you keep in the 12'x 10' Vinyl Murryhill fro Arrow.